While the paychecks of digital publishers might not keep industry outsiders awake at night, the desire to get paid on time is certainly a need we can all relate to. Would you be willing to wait 60 days to see any green for 80 percent of the work you do? Fat chance. Deal breaker, right? Yet, according to an Interactive Advertising Bureau survey, that’s the typical situation for digital media companies waiting on a paycheck for advertising invoices. So the $25 million in new funding FastPay received recently should come as very exciting news to folks involved with the online advertising business. FastPay is a finance company that will now be able to offer up to $5 million lines of credit to content publishers, social media marketers, digital creative studios, and other ad-tech businesses. FastPay’s business model makes funds available that are hard to come by through traditional equity financing. CEO Jed Simon says, “Most banks look at our clients and call them unfinanceable. To them, tech and media businesses are too esoteric to evaluate.” Well, things might be changing. FastPay’s new funding includes credit from Wells Fargo and a combination of debt and equity from SF Capital Group. Since their soft launch in 2009, FastPay has loaned more than two dozen clients over $45 million, lending companies between $100,000 and $500,000 each. Simon predicts a tenfold increase in lending. The new partnership with Wells Fargo makes scaling a great possibility in the future. For startups that can’t afford to wait for advertisers to pay, FastPay might just keep them in business. They’ll no longer have to spend valuable time and resources hunting for more equity capital when they’ve already completed work to cover operational expenses. 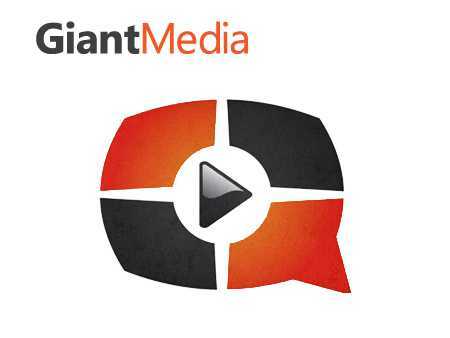 Early client Giant Media (a video syndication platform) used FastPay’s receivable financing to grow from one founder to 25 employees in two years, and to see business begin to double quarterly. 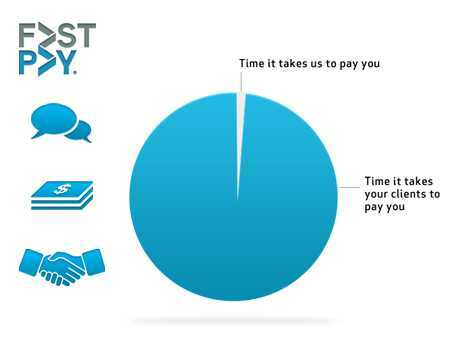 FastPay works hard to keep things simple. Applicants are evaluated on personal credit, size and reputation of the payable vendor, age and profitability of the business. Borrowers can expect their applications to be processed in hours rather than days. If approved, money for outstanding invoices might arrive the next day. No monthly minimums, commitment fees, or other restrictive arrangements. Borrowers pay a flat monthly fee of 1 to 2.5 percent based on risk (determined by a proprietary algorithm). Simon previously worked as a vice president at DreamWorks Records and before that as a merger and acquisitions advisor with Morgan Stanley’s media and technology group. Like himself, none of the other founders have commercial lending experience. Instead they’re banking on their industry experience and empathetic ear to attract clients. They haven’t experienced a default from a bad loan yet. FastPay may serve a very specific market, but it serves as a valuable model. The company addresses a huge absence in the marketplace. They provide a valuable service in a fast growing sector of the economy. Let the digital media dollars flow.